Roof blinds are the solution for some homes that feature conservatory or open-style roofing. These rooms offer a romantic view of blue skies and stars at night but oftentimes, the heat and UV rays from the sun can cause extreme heat which will result in discomfort and overly-warm rooms. Roof blinds are the convenient solution for such home features where you normally would find shade and cooler temperatures desirable. Transform your conservatory or open-roofed rooms into a serene, comfortable space with our roof blinds. The installation of these roof blinds is so simple with the benefit of being drill and screw free. These stylish blinds act as the finishing touch to your conservatory and open-roofed areas of your home. They subtly keep the warmth of the sun away whilst allowing the natural light to peek through the fabric. This keeps with the trends of the other aesthetics and style of your house. Looking for other types of blinds? We have roller blinds, aluminum & faux wood Venetian blinds, roman blinds, and so much more! 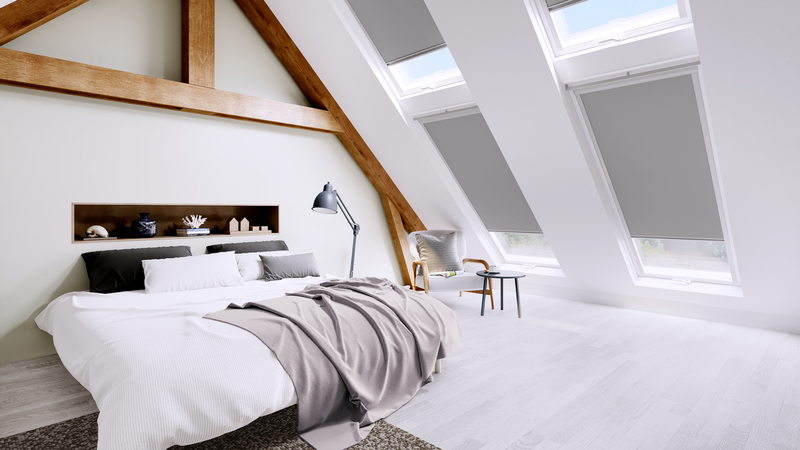 Read about the benefits of roller blinds here. For the benefits of motorized blinds, you can read it here.